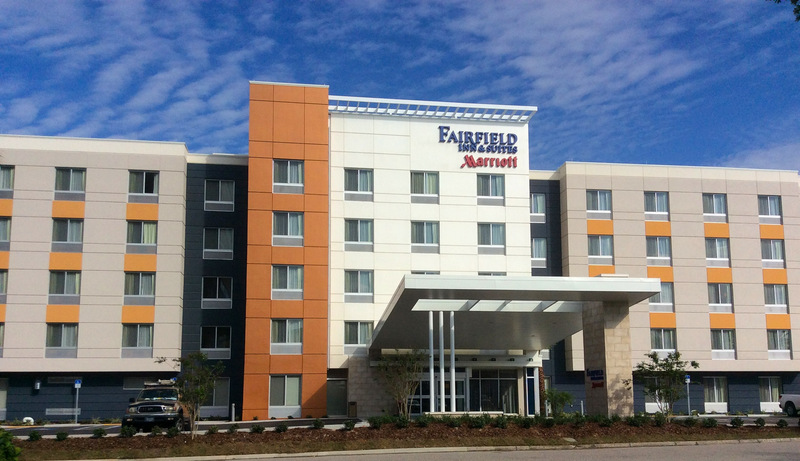 TAMPA, Fla. - Dec. 17, 2015 - PRLog -- InterMountain Management, LLC is proud to announce the opening of the 129-room Fairfield Inn and Suites by Marriott in Tampa, located at 2215 North Lois Avenue in the Westshore Business District. The Fairfield Inn and Suites Tampa Westshore/Airport is just three miles from Tampa International Airport and offers guests convenient access to International Plaza Shopping Centers, Raymond James Stadium, MacDill Air Force Base, Busch Gardens, the Florida Aquarium and so much more. This is the newest Fairfield Inn & Suites in the area, featuring the brand’s new design and décor, which enhance the guest experience through flexible features, and a warm and welcoming environment. “We are excited to join the Tampa Westshore business community as its newest addition to the Fairfield Inn & Suites by Marriott family with our innovative design and décor. Our friendly staff looks forward to providing outstanding service to each and every guest with our Fairfield 100% guarantee. We look forward to your next stay with us in Tampa!” said General Manager, Adam Shiel. “Our highly seasoned and helpful Director of Sales, Diana Fernandez, is standing by ready to serve all of your future hotel needs; from group blocks to corporate business travel, we can accommodate it all! Come over to the Fairfield Inn & Suites Tampa Westshore and experience amenities such as our thoughtfully designed guest rooms and suites that allow you to work and relax, free Wi-Fi throughout the hotel to stay connected during your stay, free hot and healthy breakfast and fitness facilities that include a pool and exercise room,” said Stacy Counihan, Area Director of Sales & Marketing. As one of North America’s largest hotel management and development companies, InterMountain Management specializes in the select-service and extended-stay hotel segments. For over 30 years, InterMountain Management’s dedication to success is proven in the results as a hotel owner, management company and hotel developer. They currently own and/or manage approximately 50 premium branded hotels nationwide, with an additional 30 in their pipeline. For more information, or to view hotel locations across the U.S., visit their website at www.intermountainhotels.com. Fairfield Inn and Suites by Marriott is designed for today’s traveler who is looking to be productive on the road, whether for business or leisure. Fairfield Inn and Suites is a moderate tier hotel brand that enables purpose-driven travel and delivers optimized value to every guest. In addition to complimentary Wi-Fi and hot breakfast, Fairfield Inn and Suites offers thoughtfully designed rooms and suites that provide separate living, working and sleeping areas. Additional hotel amenities include an indoor swimming pool, an exercise room, valet laundry service, complimentary Wi-Fi, as well as fax and copy services. With more than 700 properties throughout the United States, Canada, Mexico and India, Fairfield Inn and Suites hotels participate in the award-winning Marriott Rewards® frequent travel program that allows members to earn hotel points or airline miles for every dollar spent during each stay. For more information or reservations, contact the Fairfield Inn & Suites Tampa Westshore hotel directly at 813-872-0044, or visit online at www.marriott.com/tpawa.